MASKerade: CASology 41 - Giggle! 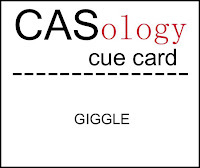 Today's CASology Cue Card is Giggle! I don't know about you, but to me, giggle is different from laugh. Or chuckle. It's a visual, 'bouncy' word. I have a 10 year old daughter and one of the things I love best about this age is that she still embraces fun enthusiastically (not so much, my 14 year old son, who is 'too cool' to enjoy anything). I love to hear Kate and her friends giggling away like no one's listening. I wanted to capture that feeling in this card, and I'm happy with the result. Yes, there are 3 layers here, but lots of air between the background panel dots and lots of white space on the front panel, and absolutely no embellishment (not even Stickles, gasp!) all help to keep it CAS. Now it's your turn - before you go, here are links to the blogs of the other DT Members - stop by for a good giggle! Oh, this is just too cute! What a fun challenge. Perfect card, Ardyth! I know exactly what you mean...I have a boy and a girl and she's a giggler...well, maybe more of a squealer, and he's... well...he's a boy! What a fun card! Which stamp(s)from DeNami did you use for the face? I have searched my stash and can't find anything close. I would love to make a similar card to send to some friends that really need a good giggle! This is most definitely a great representation of " giggle"!!! Yay, I'm so happy you pulled out this face stamp again! You always do super cute things with it, Ardyth! Love hearing about your daughter...makes me smile! And your card is perfect! Stunning card, makes me smile! You totally captured 'giggle' along with his/her friends! 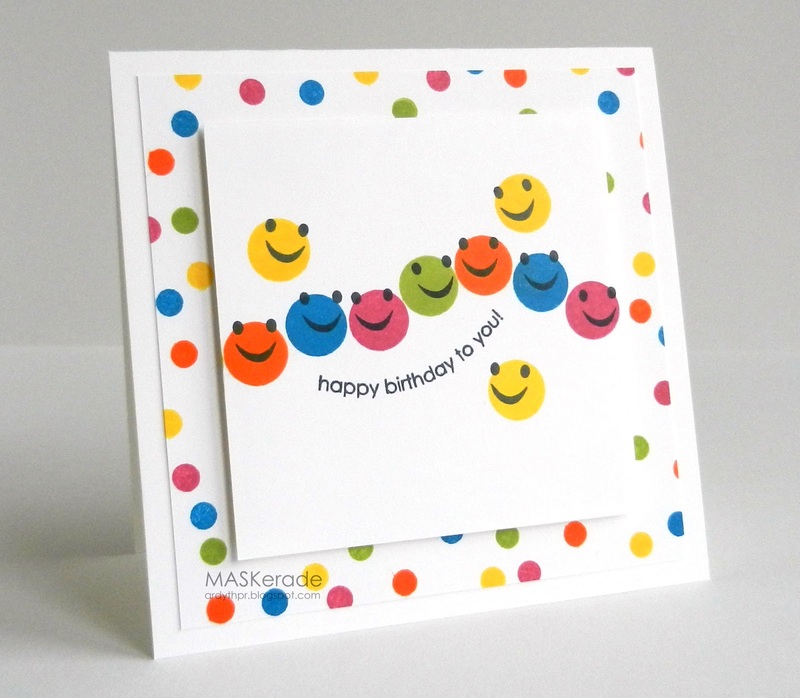 The colors, the varied positions of the smiles and the dots make for one sweet and happy, happy card! It's not often that we see three layers on an "Ardyth" card - love the change up! The best giggles of all come from little babies!! Wish we could bottle that sound. This is super!! These are so much cuter than those old "smiley faces". Oh, I know, it's because they're giggly faces. Ardyth, Thank you so much for the DeNami link. I found a couple of other stamps I had been looking for while on their site. Ordered, now I sit and wait. A fun, happy, giggly card for sure! Love it! This is really cute. Giggles and wiggles--that's what I see. this is the very definition of giggle, ardyth!! Giggliest perfection! Love how they are all giggling and looking around, very active card! This card make sme infinitely happy. You can practically see and hear the little fellas bouncing off the card! 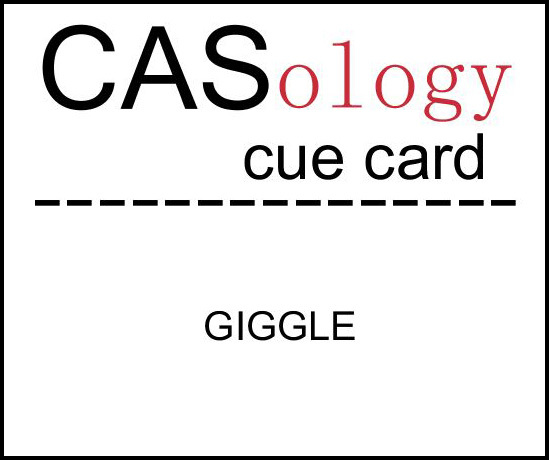 Great definition of giggle, both written and visual. I am no longer sure whether or not this submit is written through him as nobody else recognise such detailed approximately my trouble. this site. I am hoping to view the same high-grade blog posts by you later on as well. OMG....this is so fun...and definitely fits in perfectly with the word GIGGLE! You rocked it!! Your card sure makes me want to giggle--how fun! I'd say it's a SUCCESS! Now this card is fun. It definitely makes me want to giggle! What a happy card! I know what you mean about teenage boys being too "cool" to giggle! I raised three boys who thought the same thing! lol Love your card! Your description of your daughter and her friends is so true...I think the same of my 11-year-old daughter and their gang of gigglers! This card perfectly depicts this...so happy and fun! Ardyth this is adorable, I love those little happy faces. They make me happy. This is just too darn cute!!!! Those dot dudes look like they're having an awesome time! LOL! Love it! loving this cute....it's made me smile! This card is wonderul! Those little faces are beyond adorable. Must pin this. Oh - this definitely put a smile on my face. Love how they seem to be looking at each other!! Such a fun card. Love it! !